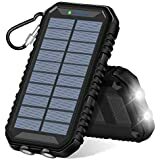 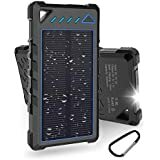 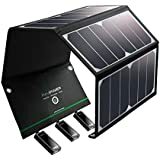 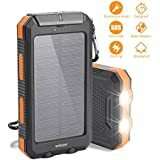 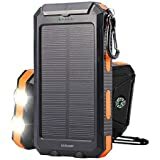 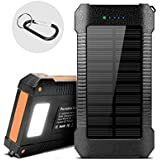 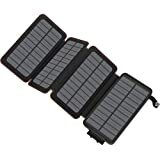 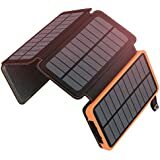 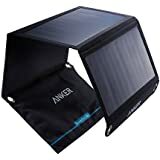 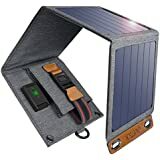 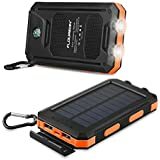 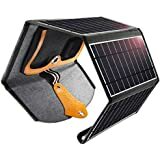 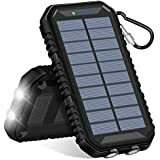 CHOETECH Solar Charger, 14W Portable Solar Panel Lightweight Outdoor Solar Charger Compatible with All Mobile Phones, Pad, Camera, Tablet, Bluetooth Speaker, Power Bank and etc. 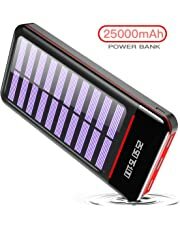 Most of us these days live our lives in some capacity through our smartphones and because of this, the length of our battery life becomes more and more important. 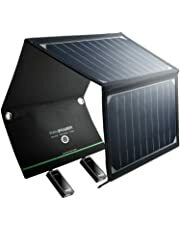 Unfortunately there isn’t always a plug socket to hand when you need one. 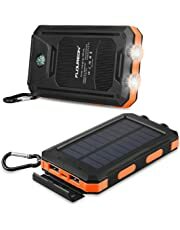 Solar chargers fill that gap by using the power of the sun to charge your phone, perfect for when your battery hits critical out in the wilderness. 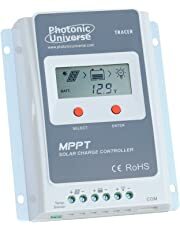 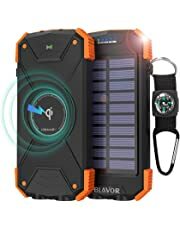 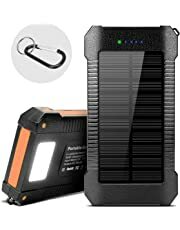 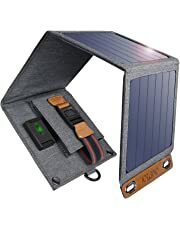 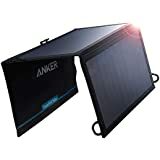 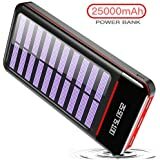 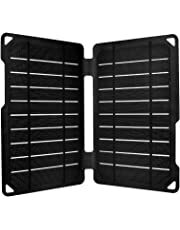 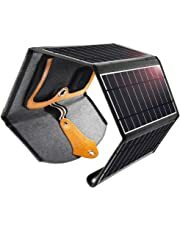 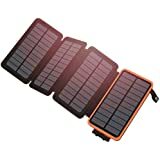 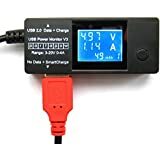 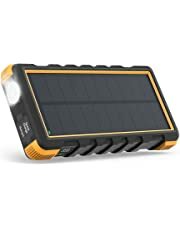 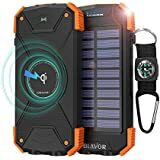 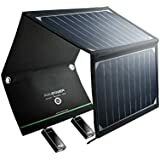 What solar chargers are available? 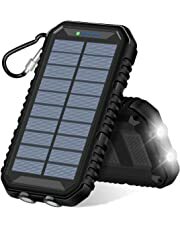 ● Pocket chargers: Designed to be portable, pocket chargers normally consist of a power bank with an additional small solar screen. 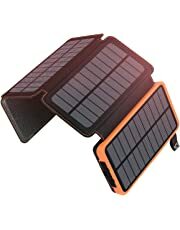 Most feature multiple connectors for compatibility with different smartphones. The drawback of their portability is the limited size of the solar screen. 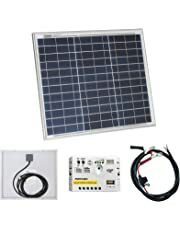 This can lead to significantly longer recharge times compared to larger models. 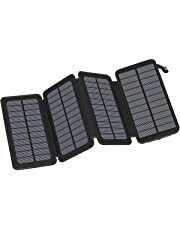 ● Single screen: Single screen chargers tend to be significantly larger than the pocket version. 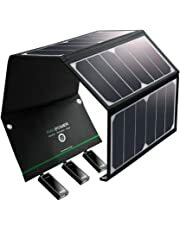 Able to be mounted on vehicles or homes, they can be used to recharge larger items such a laptops while still being portable. 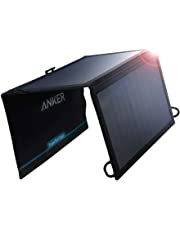 Composed of a single large screen made of flexible material, they are also tend to be the most efficient of the mobile solar panels. 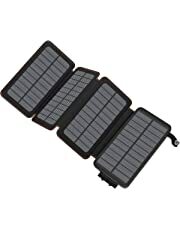 ● Folding multiple screen: Folding screen solar chargers bridge the gap between the portability of the pocket chargers and the power of a single screen. 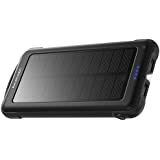 Compact enough to be carried in a backpack, they consist of several linked screens with attached charging ports. 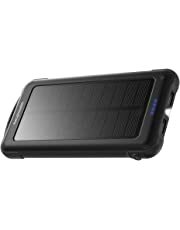 Make sure the connection ports on your solar charger are compatible with your smartphone before purchasing. 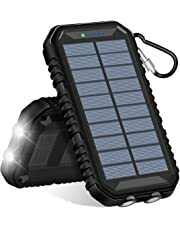 Charge the powerbank of your portable solar charger from a power socket before use. 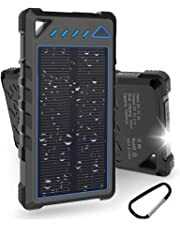 Before using outdoors check to see if your model is water or showerproof. 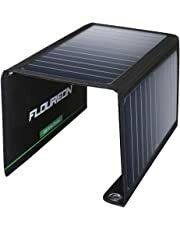 Showerproof models should not be fully immersed in water. 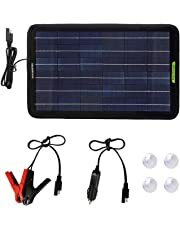 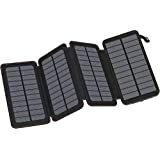 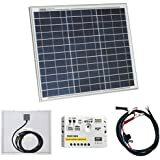 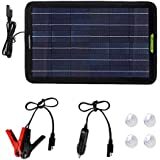 Are you looking for solar chargers? 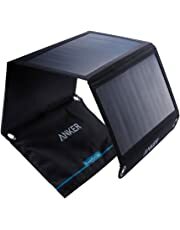 Visit our solar charger store.